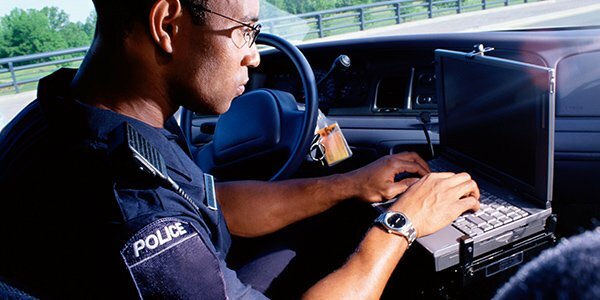 Can Police Follow You Without a Warrant? We see it all the time on TV and in movies: the protagonist is walking down the street, and police officers in plain clothes are following him. Or the suspect starts driving, and there's an unmarked police car tailing a few cars back. But just because it's commonplace in dramatized versions of real life, does that make it legal? Do the police need a warrant to follow you? The Fourth Amendment prohibits "unreasonable searches and seizures," and what is and isn't reasonable can be up for debate. This debate hinges on whether a person can demonstrate a reasonable expectation of privacy in the place that was searched or the property that was seized. The primary Supreme Court case on the matter, Katz v. United States, held that what "a person knowingly exposes to the public, even in his own home or office, is not a subject of Fourth Amendment protection ... But what he seeks to preserve as private, even in an area accessible to the public, may be constitutionally protected." While individuals may have a reasonable expectation of privacy in their own bodies, they generally don't have the same expectation when they are out in public, so police can generally follow a person while they are in public places. Most courts would rule that if a person was merely followed in a public place that no search or seizure even occurred. For the most part, search warrants are only required when law enforcement wants to search a particular place. And there are exceptions to the warrant requirement, one for places and things that are visible to officers in plain view. Because a person walking or driving in public would be in plain view of police officers (and everyone else), law enforcement would not need to obtain a warrant to merely follow someone. Officers can also stop someone on a public street and ask questions, although they still need a reasonable suspicion to search that person. If you think your Fourth Amendment rights have been violated with an unreasonable search or seizure, you may want to talk to an experienced criminal defense attorney.